This year we celebrated my husband’s birthday the day after his actual birth date. Celebrating it on a Friday was so much more convenient than a Thursday evening. Thursday evening while I was conducting interviews with the parents of the children in my class; and he could still go out and play badminton. 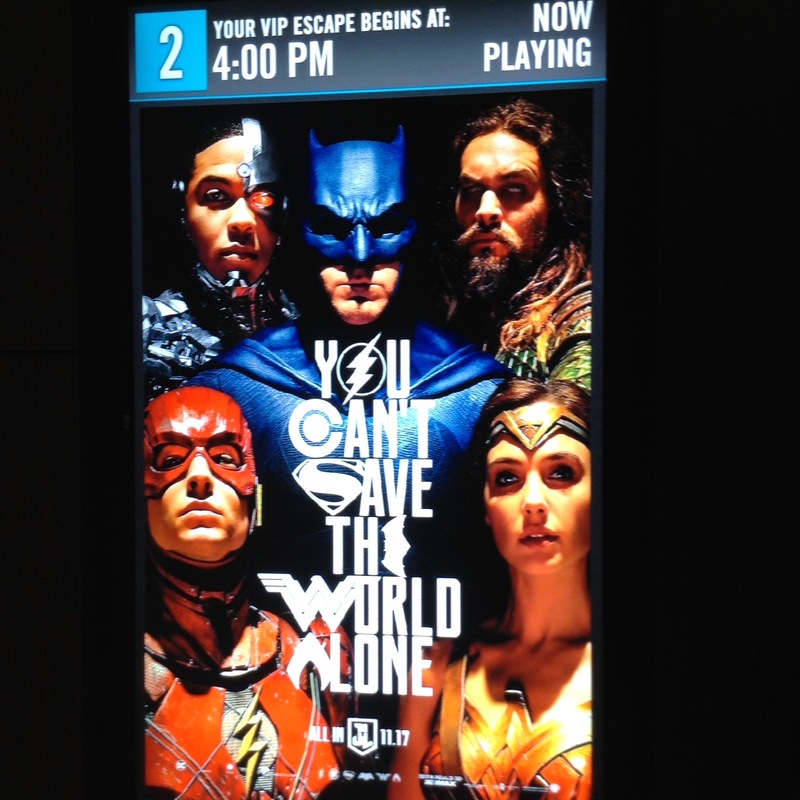 Not only did we enjoy the VIP experience, but we also enjoyed the film. Lots of special effects and action. The favourite part of the film for me was meeting Flash. I loved the way his character was portrayed – with plenty of humour. As fans of super-hero films, my family and I were not disappointed. I look forward to seeing the next film – the one that was hinted at after the film credits. After our film experience, we went out for dinner. At the moment, my family enjoy eating ramen. We love this Japanese food and enjoy the flavours of the soup. I enjoy, in particular, the vegetarian version laden with vegetables. After dinner we headed home for some tea and chocolate mousse cake. The perfect way to end a birthday celebration. That ramen looks delicious and chocolate mousse cake sounds divine! Ramen or sushi? My preference is definitely ramen. What a great celebration. And the best part is that all of your family enjoyed it together. That makes all the difference. So many families are busy going their separate ways all the time anymore. It’s great to know there are still families who really enjoy being with each other. We do make an effort to spend time together. This is one of the things that I am grateful for as this is why I married and had children. That’s an excellent way to do it, Colline. Birthdays are more flexible as we get older. 🙂 🙂 Never had ramen as such, but I presume it’s a noodle soup. Sounds good to me. I always like fireworks on my birthday (Guy Fawkes 🙂 ) but as we were in the Algarve this year it didn’t happen. Sunshine was compensation, but we had a firework display on the Headland this past weekend as part of their winter celebrations. I was like a kid again! Yes, ramen is a noodle soup – and the noodles are freshly made. Delicious. Sounds like you got your fireworks for the year. Professionally done displays are always amazing. Aller dîner – c’est une façon parfaite de célébrer les fêtes! Great family celebration Colline, a relaxing evening movie followed by an appetizing meal, no Husband or Father could be so admired and loved, as to have his family appreciate him with love and respect. He loved his evening Ian. Especially as he was surrounded by his children. My husband definitely loves his family.